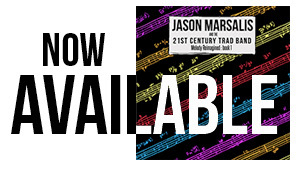 Jason Marsalis, the youngest of the legendary Marsalis clan, drums to a different beat for BigEasy.com. What is the first word that comes to mind to describe New Orleans? What is your secret weapon for thriving in New Orleans? I just try to be true to what I am doing. Why do you live here? There are so many great opportunities for me here. I am playing all sorts of music besides jazz. Buying all these CDs I never get a chance to listen to. What is the most romantic place in the city? What experience of yours best explains New Orleans? Hearing a brass band on the street. You never know when you are going to go out on the street and hear one. What’s the most underrated thing about this city? What’s the one thing you would never change about New Orleans? The attitude of the city. The music is hip because the city is loose. What’s one thing you would change about the city? Shows should start on time. Who is your favorite local performer? Curtis Pierre of Casa Samba. I like news people, like Frank Davis doing his Naturally N’awlins. What do you do with your old Mardi Gras beads? I still have them. And the doubloons. I even have the old doubloons my brothers collected. What is your favorite Jazz Fest memory? I liked it as a little kid. I would go when I was seven or eight years old and just watch my family play. Handa Wanda by the Wild Magnolia Mardi Gras Indians. What is your favorite New Orleans cliché? The Big Easy, that’s what New Orleans is. Who is the most talented musician in your family? Branford. They say me but I disagree. Do you miss singing in the streets? The spontaneity is fun and being in my family’s band was fun. It’s a hard life playing every day in the sun. But the audience is only standing there because they like you. That’s nice. This entry was posted in Articles, Press and tagged Branford Marsalis, brass band, Casa Samba, Curtis Pierre, doubloons, eclectic, Handa Wanda, Jason Marsalis, Jazz Fest, jazz music, local performer, local personality, Mardi Gras beads, Mardi Gras Indians, Marsalis family, modern jazz, New Orleans, New Orleans Jazz & Heritage Festival, Press, romantic New Orleans, romantic place, secret weapon, Wild Magnolias on June 1, 1999 by abell.